My husband and I moved to the Boca-Delray area from the Chicago area with two adult children and an elderly dog. We knew nothing about the area, nor the extensive restrictions for people who have pets. Elyse helped us tremendously. She took the time to know us and quickly figured out what we wanted in a home – actually much better than we knew ourselves! She was patient as we sold our home up North, showing us homes in the types of neighborhoods we’d feel comfortable in. Elyse was on top of everything from putting in our offer to finding the right bank to finance, and everything in between. The closing process was a dream. Now that we’ve closed on our home, I consider Elyse my first true friend in South Florida. I would recommend her unconditionally – I can’t say enough good things about her.  Elyse Berman is a true professional and a realty gem.